School Children Learn about Altitude Awareness at Big Bang Fair! 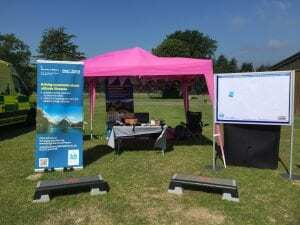 The Environmental Extremes Lab (EEL) and Para-Monte joined forces on Wednesday 27th and Thursday 28th June at the seventh annual Big Bang Fair South East, held at the South of England Showground. More than 10,000 students between the ages of 9 and 19 attended from 200 schools across the region. 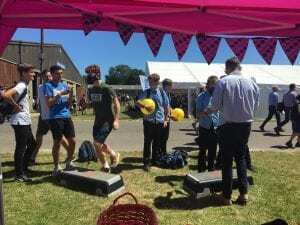 The event was part of the nationwide Big Bang Near Me programme, the biggest single celebration of science, technology, engineering and maths (STEM) for young people in the UK. 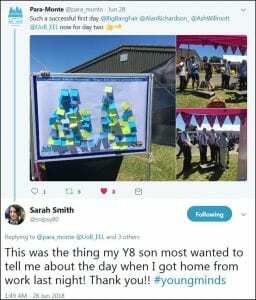 Arguably, the feedback (see tweet) from the son of our very own Sarah Smith (Economic, Social Engangement & Research Administrator of the School of Sport and Service Management) meant the most to Chris and Jeannet Savory, who set up Para-Monte to raise awareness about altitude in memory of their son, Adam Savory, who tragically died form altitude illness in 2012. 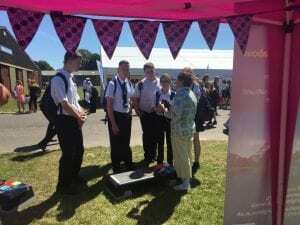 There is no question the Para-Monte stand grabbed the attention of so many children and raised their awareness of altitude…achieving the primary aim of the charity! 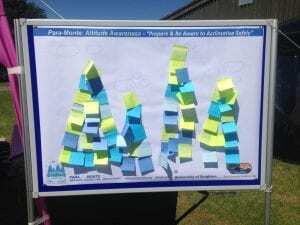 This entry was posted in Altitude, Para-Monte, Safety by Neil Maxwell. Bookmark the permalink.